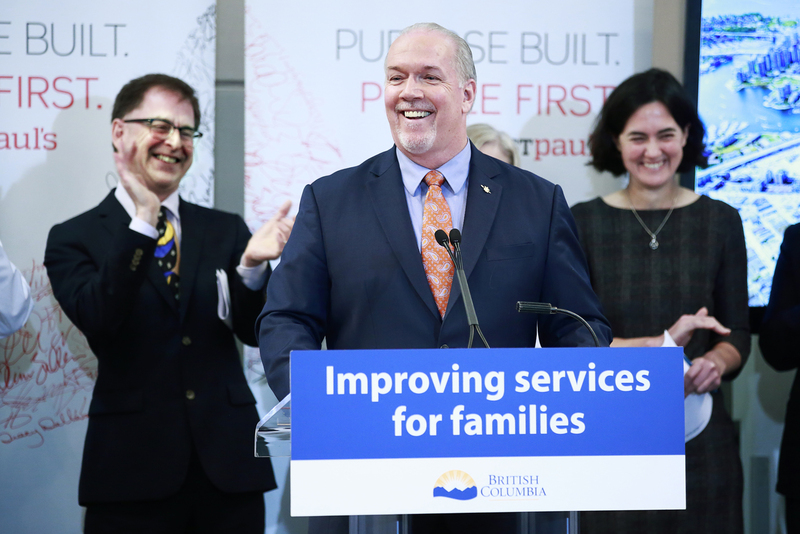 That’s why our government launched primary-care networks in the Fraser northwest region to deliver team-based care that connects people to the health care they need faster and closer to home. At the heart of the primary-care strategy is a new focus on team-based care to recruit more doctors, nurse practitioners and other health professionals, and put patients back at the centre of health-care delivery. Over the next three years, across the four networks in the Fraser northwest region, up to 65 new health-care providers will be recruited. As part of our overarching primary care strategy, provincewide, we’re recruiting 200 more family practice physicians, 200 nurse practitioners, and 50 clinical pharmacists. Primary-care networks are part of our work to deliver faster, better health care for you and your family, in every part of the province. It will take time and work to address the health-care challenges people are facing throughout the province, but we’re taking action to fix problems and deliver the services people count on. Budget 2019 invests more than $1.3 billion in total health spending over three years, which means more doctors and nurses, and shorter wait times for you and your family. Our surgical and diagnostics strategy, launched less than a year ago, has added 1,110 more MRI hours per week compared to August 2017, with 10 public MRIs now operating 24 hours a day, 7 days a week. From Terrace to Cowichan to Dawson Creek to Richmond, we are building, renovating, and expanding hospitals to meet health care needs today and for future generations. And after more than a decade and half, rebuilding St. Paul’s, one of the most important hospitals in B.C., is moving forward. Urgent Primary Care Centres have been opened in Surrey, Langford, Kamloops, Quesnel and Vancouver to help people who have conditions that are not life-threatening but need to be addressed within 12-24 hours. Our government is boosting funding for BC Cancer, increasing the number of cancer-related surgeries, diagnostic imaging, expanding PET and CT scans and increased chemo­therapy demands. We’re increasing supports for the BC Children’s and Women’s hospitals to provide services for women, children, newborns and families. And through Fair PharmaCare we’re making prescription drugs more affordable to people when they need them. More than 240,000 B.C. families’ prescription medication became more affordable this January thanks to an investment of $105 million in the Fair PharmaCare program. In every community I visit, patients, doctors, nurses and other health-care professionals all say the same thing: Health care delivery must become more patient-centred. We’re going to keep working hard to deliver better, faster health care that you and your family need.